Buy a Naanbang vacation package on Expedia right now! This is by far one of the best ways of saving money and time for your upcoming getaway. Gain savings of up to C$590* by booking a package deal on Expedia. If you decide to change your mind, we'll honor your cancellation request on almost all bookings with no extra fee. There's no limit to the number of fantastic things you can do when you're in a new destination. So why not get your trip to Naanbang off to a great start by checking out some of our top tips? After all – out there starts here! Okay, so you've seen all that's on offer on the mainland. Wondering where to go next? Perhaps it's a good time to journey across the water and find out what's on Oedo Paradise Island. Visitors have heaps of options close by. Remember to bring a good camera if you're planning an excursion to Hallyeo Waterway Observation Cable Car. The exceptional views you'll witness while moving steadily over the landscape are worth a few shots! Still got time to spare? Experience a snapshot of life as it was in the past at Dongpirang Village. Feel its quaint charm, marvel at the well-preserved architecture and learn about the history of this delightful neighborhood. Accommodations in Naanbang are few and far between. With only 4 properties, try not to leave it to the last minute. But don't stress — Expedia is the home of the greatest cheap vacations and luxury getaways. If you don't want to scour the internet for hours for a place to stay, why not go with one of the ones on our list? 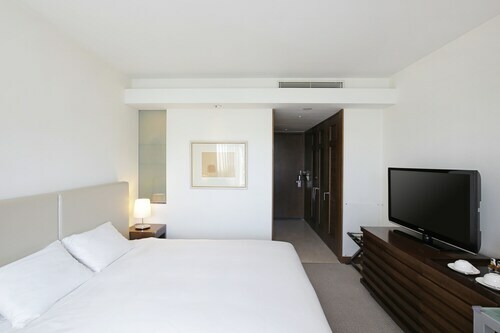 The Samsung Hotel Geoje and Admiral Hotel are some of the nicest properties around. Have you booked your plane tickets for your trip to Naanbang yet? When you land, prepare to stroll out into Gimhae Airport (PUS). It's 30 miles (48 km) from here to the heart of town. 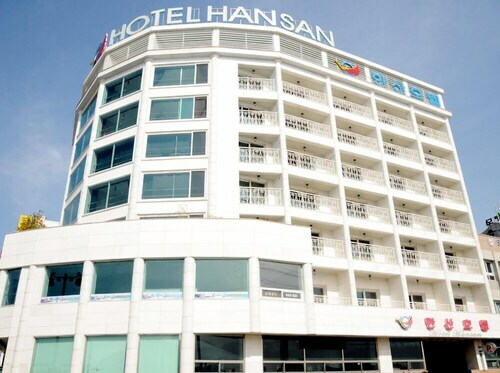 Located in the heart of Geoje, this hotel is 1.4 mi (2.2 km) from Geoje City Hall and 1.5 mi (2.3 km) from Kohyeon General Market. Deokpo Beach and Geoje Maeng Jong Juk are also within 9 mi (15 km). 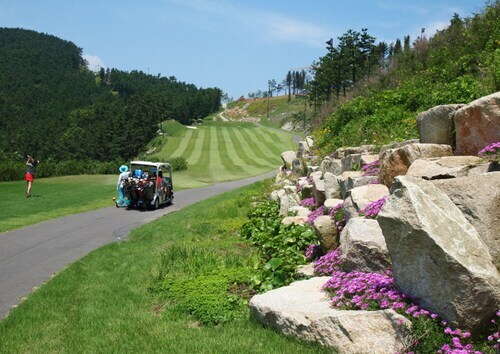 Situated in Geoje, this golf resort is 2.8 mi (4.6 km) from Geoje City Hall and 3 mi (4.8 km) from Kohyeon General Market. Geoje Museum and Deokpo Beach are also within 12 mi (20 km). 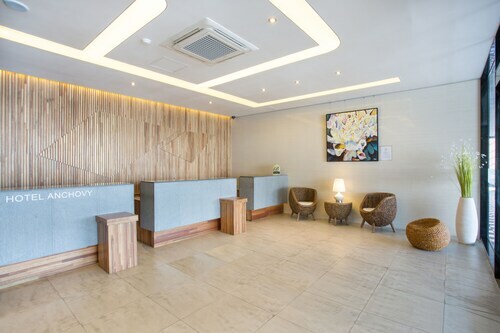 Located in the heart of Tongyeong, this hotel is within a 10-minute walk of Seopirang Park and Tongyeong Jungang Market. Yi Sun-Sin Park is 1.6 mi (2.6 km) away. Situated in Tongyeong, this hotel is within a 15-minute walk of Tongyeong Jungang Market and Yi Sun-Sin Park. Seopirang Park is 0.9 mi (1.5 km) away. 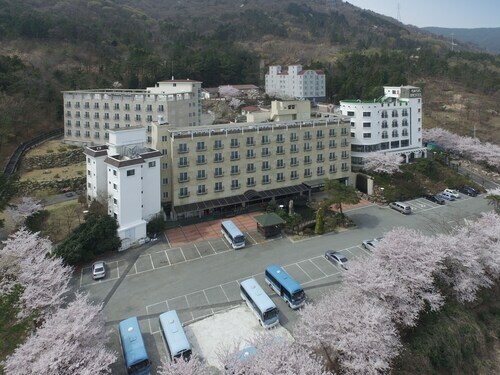 Situated near the beach, this hotel is 3 mi (4.9 km) from Seopirang Park and within 6 mi (10 km) of Tongyeong Jungang Market and Yi Sun-Sin Park. Kohyeon General Market and Geoje City Hall are also within 20 mi (32 km). 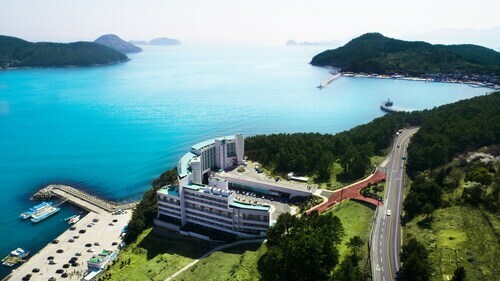 This spa hotel is located in Geoje (Irun-myeon), close to Wahyeon Beach, Gujora Beach, and Geoje Sea Village Folk Museum. Area attractions also include Oedo Paradise Island and Geoje Art Center. 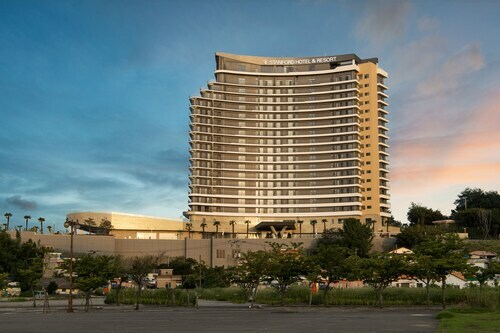 Situated in the city center, this luxury hotel is in the same area as Geoje Museum, Sanbangsan Garden, and Okpo Great Victory Commemorative Park. Regional attractions also include Gujora Beach and Wahyeon Beach. 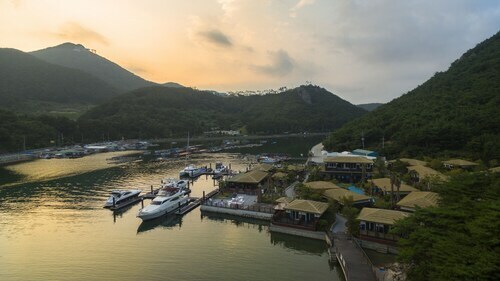 Situated in Tongyeong, this golf hotel is within 9 mi (15 km) of Seopirang Park, Tongyeong Jungang Market, and Yi Sun-Sin Park. Kohyeon General Market and Geoje City Hall are also within 25 mi (40 km).